Written by and starring Edward Petherbridge, My Perfect Mind is an endearing 90-minute one act play based on the classical actor’s experience of not playing King Lear. 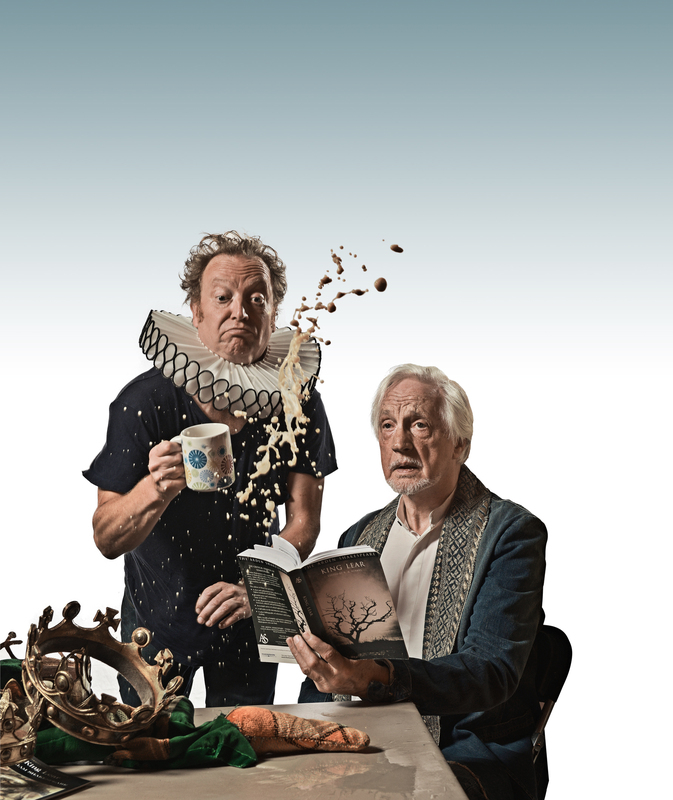 This two-hander is a poignant, playful, funny, slightly bonkers play where Petherbridge finally gets to play an (abridged) version of theatre’s most tyrannical king – although in a rather more an unorthodox manner than Shakespeare first intended. Joining Petherbridge on stage is Paul Hunter, who plays “all the other parts” which include, amongst many wonderful characters, Petherbridges’ stroke-ravished, hair-net wearing mother and a ‘German’ brain doctor with a very dodgy accent (“borderline offense” is an old-going joke in the play, riffing off Noël Coward’s comment on “stage foreign”). Originally performed at the Edinburgh Festival, My Perfect Mind has that slightly wonky, ultra-realism that’s simultaneously hyper-theatrical. And that’s all part of this play’s charm and wit. Petherbridge, who played Guildenstern in the debut of Tom Stoppard’s classic at the National Theatre in 1967, sends himself up as an old school luvvie, all ‘darling’ and Laurence Olivier anecdotes. And despite its flirtations with the surreal, there’s a tender, warm heart to the play that also deals with the sharper edge of life (and near-death). After many years treading the boards, including an ill-fated stint in a musical called The Fantasticks (alongside Paul Hunter), Petherbridge is offered the part of King Lear in a New Zealand production and flies to Wellington for the role of a lifetime. But the day after his first rehearsal, he suffers two strokes in quick succession, leaving him struggling to walk and barely able to move his fingers on his right hand, but miraculously able to respite all his lines from King Lear . Petherbridge’s story of not playing Lear is woven between flashbacks to his childhood, moments backstage with Olivier dispensing words of actory wisdom, all wrapped around a deliberately half-baked idea of him playing an actor suffering from KLS (King Lear Syndrome – cue the brain doctor with the dodgy accent). It’s all beautifully patched together by the actors and Kathryn Hughes’ (who has played King Lear in her time) assured direction which keeps the play from rambly off up its own too-pleased with itself backside. There are lots of acting in-jokes, a great deal of exposing the world behind the theatrical green curtain, and an interesting look into the actor’s psyche and motivation. But just when it looks like it’s getting bogged down in its clever-cleverness, slipping into being “sloppy and pretentious”, which, as Petherbridge notes on two occasions, are often the same thing, it snaps back with a comic flourish. My Perfect Mind is an exploration of the memory, of the power of art, creativity and a (muted) celebration of survival – and it’s a lovely 90 minutes of theatre. For more information and tickets, visit www.youngvic.org. This entry was tagged EDWARD PETHERBRIDGE, KATHRYN HUGHES, KING LEAR, London theatre, PAUL HUNTER, Shakespeare, Theatre, theatre review, Young Vic. Bookmark the permalink.